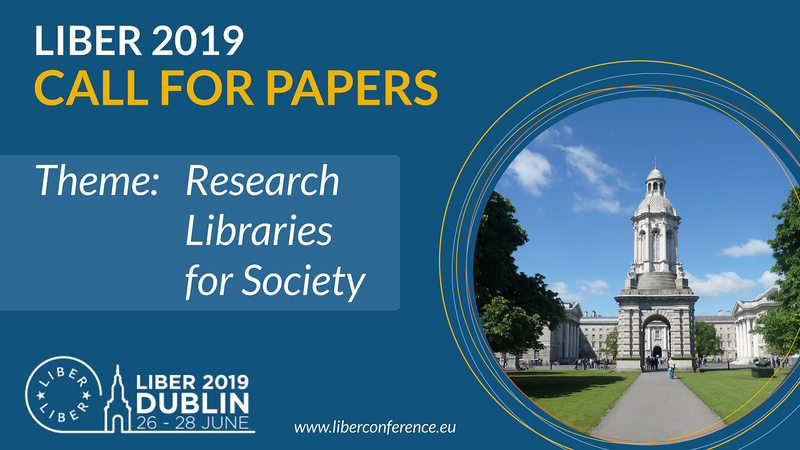 The Call for Papers for LIBER’s 2019 Annual Conference in Dublin, from 26 to 28 June, is now open. The deadline for submitting a proposal is 14 January 2019. Guidance and conference topics are outlined in detail below. 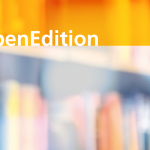 In this time of information overload, ‘fake news’, ever-growing possibilities of digital scholarship and worldwide developments in Open Science, library support is needed more than ever. For as long as we can remember, libraries have been caretakers and disseminators of knowledge. Now that information and knowledge seems to be available for all, it still is the library which takes care of that availability, helps to ‘translate’ huge amounts of data to comprehensible and usable input for science, and takes care of disseminating the results of research and education to society at large. This role of research libraries is the focus of our next LIBER Annual Conference. LIBER 2019 will include several session and presentation formats. When submitting a paper, speakers can choose the right format for the content they intend to deliver. We are also looking for proposals on the suggested topics above that will be pitched during a plenary panel session. We are seeking 3-4 separate 5 minute pitches that either propose adopting a new local or national solution at European level or for a completely radical innovation/idea that is ripe for exploration by European research libraries. 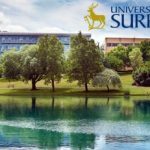 The Conference Programme Committee may, in some cases, accept an abstract while proposing a format different from the one chosen if it fits better within the programme. In this case, the author will be contacted. To submit an abstract of your contribution go to https://www.conftool.org/liber2019. The deadline for submission of abstracts is 14 January 2019. Accepted contributions will be limited to one paper and/or poster abstract per author. Similarly, we aim to avoid more than 1 paper on a single initiative/project. 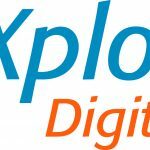 Papers from commercial providers will not be considered. All submissions will be automatically considered for the LIBER Innovation Award. Submitters of a proposal from qualifying countries may also apply for the LIBER Annual Conference Fund. Abstract length should be a minimum of 250 words and should not exceed 500 words (for all forms suggested above). The language of the conference will be English, therefore the Committee will only accept submissions in this language. All submitted abstracts will be peer-reviewed by at least two reviewers who will evaluate them on the basis of the criteria mentioned above. Authors are encouraged to submit their accepted papers for publication in LIBER Quarterly, which is a fully peer-reviewed journal. Instructions for this can be found on the journal website (www.liberquarterly.eu); you may contact the managing editor through the journal’s contact page. For tips on writing abstracts, please see this link. Please note: all presenters are responsible for their own registration, accommodation and travel costs. This Call for Papers has been assembled by LIBER’s Conference Programme Committee. 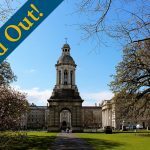 As Ireland’s university on the world stage, Trinity College Dublin is recognised for academic excellence and a transformative student experience. 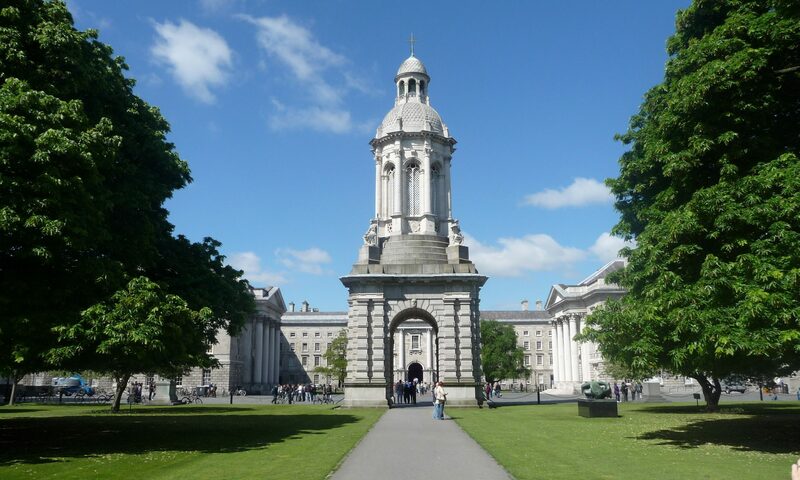 Trinity is Ireland’s highest-ranked university, one of the world’s top 100, and a member of the League of European Research Universities (LERU).